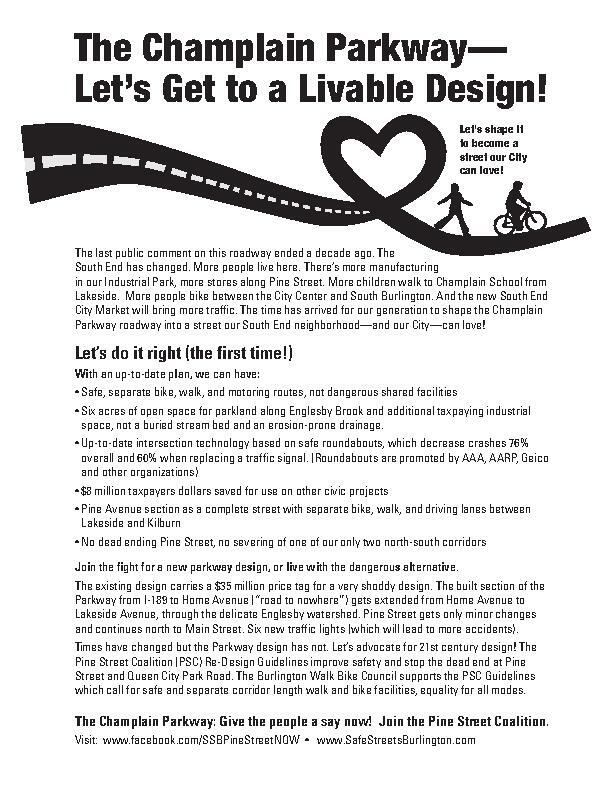 SAFE STREETS BURLINGTON: Time for a New Generation to Shape the Champlain Parkway! Time for a New Generation to Shape the Champlain Parkway! From what you are saying, I would agree that you are standing for the betterment of your society. However as I do not live there, I probably wouldn’t be interested.